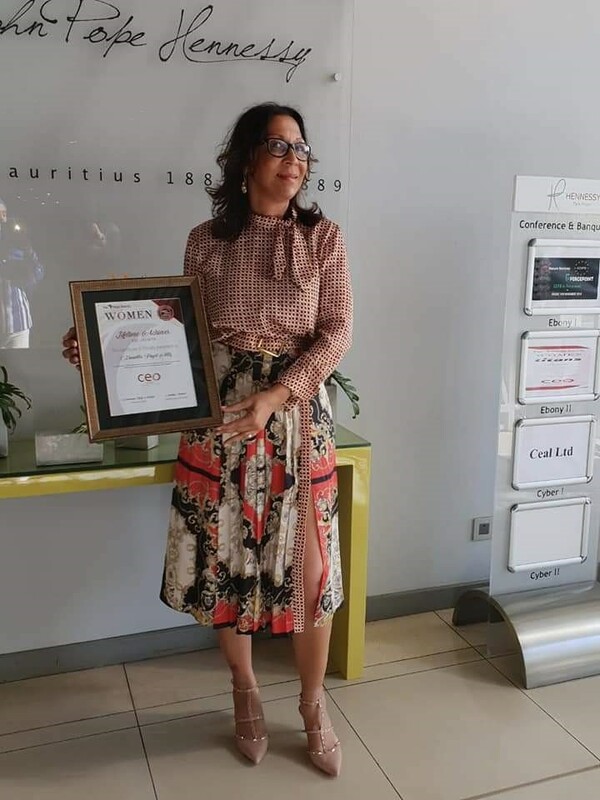 Daniella Payet-Alis of the Seychelles won the 2018 prestigious PanAfrican Lifetime Achiever Award for the Indian Ocean Region where only 4 persons have been awarded for 2018/2019 at the Award ceremony held last week at the Hennessy Park in Mauritius. “We will be again competing among 57 countries for the Lifetime Continental award to be held in Johanesburg end of November 2018. “I would like to dedicate this Award to my country, but most especially to my parents’ who have played a major role as pioneers in the development of The Tourism Industry where the word Sustainble tourism were not in vogue due to Climate change, but for them it was already part of their philosophy of their livelihood. “They have contributed a lot for the passion that i have for my country the Seychelles, and this have shape my career. “I have now embarked on a different journey with the Seychelles Sustainable Tourism Foundation (SSTF), that sees itself as a facilitating platform to provide synergies and allow tourism stakeholders from Public, Private sectors, NGO’S and Academia to come together and work on a collaborative approach towards Sustainable tourism in Seychelles and the African Region,” said Daniella Payet-Alis after winning her award in Mauritius.